We are all sojourners and pilgrims in life! you are welcome at Pilgrim Church! Recognizing the damage that dogmatic tradition has caused; we declare, that others may know and we may remember: we are open and affirming. People of any age, gender, preference, and ability are welcome here. Pilgrim Congregational Church is affiliated with the United Church of Christ. 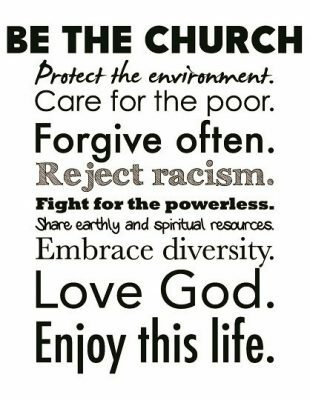 We identify with and follow the 8 Points of Progressive Christianity.Subscribe to our mailing list!